Sam was born into the culture of winter sports early in life, his family built a cabin in Whistler and that’s where the love of the snow business began. 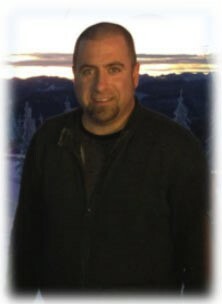 Sam has 25 years in the Hospitality industry with various titles and humble beginnings, he is now going into his 13th season with Sasquatch Mountain Resort. Samuel is passionate about creating an ultimate guest experience accompanied with a workforce that loves their job and has fun doing it. With team building as a priority you can hear him say that “success is predictable” He comes from a background in Human Resources with experience in operations, marketing, advertising, public relations, ownership, director, regional manager and restaurant management. Sam has been lucky enough to travel extensively and his happy place is Napili Bay on Maui. He was an avid athlete playing a high level of Hockey, Football and Baseball until the injuries piled up and a spinal fusion limited certain activities. He loves fishing, golfing and enjoying time with friends and family. You may have also seen his 4 legged buddy “Whiskey” at the Guest Services desk who acts like the 2nd mascot to the mountain. Purpose in life – He’s a fun loving man who leads others to find power, passion and happiness. Shelby is a local and long time snowboard fixture at Sasquatch Mountain. She started skiing and riding here at 8 years old and is proud to call Sasquatch Mountain her home mountain where she lives, works and shreds during the winter months. 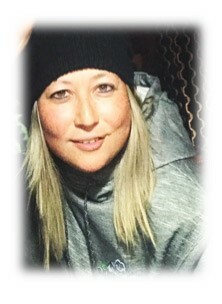 After some years of competitive snowboarding and world travelling, Shelby joined the Hemlock Resort family in 2002 as a group sales and event coordinator. She has since worked her way to a Senior Management role helping lead the resort through new ownership, a rebrand and the development and execution of the new master plan. Shelby wears a variety of hats within the operation and oversees all aspects of Sales (Group, Corporate Sales & Partnerships), Marketing, Events, Program and Business Development, Retail, Public Relations & Promotions and general mountain culture & FUN. She is a solid believer in the work hard, play harder mentality and loves that her job is to sell “FUN” and get others hooked on a sport she is so passionate about. If you can keep up with her, Shelby can be found off mountain in her other home community of Vancouver playing beach Volleyball or softball, racing motorcycles, rocking out on the guitar, travelling the world, spending time with her nieces & nephews and just living life to the fullest each day. Randy Murphy grew up in Hemlock Valley and learned to ski here as a kid. He is an avid skier and some of his earliest and best memories are of him racing down the hill as a part of the Hemlock Ski Club. Randy first joined the Hemlock Resort Team 22 years ago and throughout those years has taken on positions at other ski resorts and even took some time to get his diploma in Ski Resort Operations & Management from Selkirk College in Nelson, BC. In 2006, Randy decided to come back to Sasquatch Mountain to be a part of the growth, development and success of his home mountain and the Hemlock Valley community where he lives. 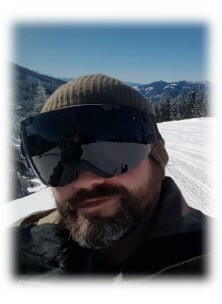 Randy has experience in nearly every aspect of the resort from overseeing the rental shop, snow school, guest services, mountain patrol, lift operations, maintenance to his current role looking after SMR Operations, Safety & Risk Management. 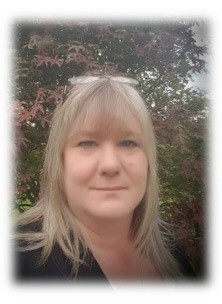 Shelley Hughes has been with Sasquatch Mountain since the beginning of time…or…about 18 years. Shelley has a background in administration and management but wanted a job closer to her home at the bottom of the mountain so started out in our rental shop in 2001. She now oversees Guest Services, and the sales desk which is responsible for lift ticket, rental and Snow school sales and all inside cashiers. Her main passion is enjoying life with her family whether it be touring around camping in her trailer or watching her kids ski and board on the mountain. Shelley loves the diversity of her role and couldn’t think of a better place to work. I get to work at an amazing place every day, meet many different people from all over the world and have fun doing it. My kids have grown up skiing here, have all worked here and feel a part of the mountain family. 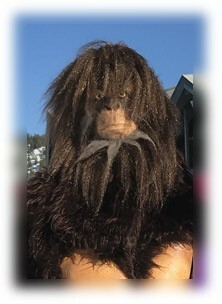 We live by the Sasquatch motto of “Fantastic, Family, Fun”. Not many jobs can you enjoy having your family with you. Mark Thompson comes from Ottawa, ON and has an extensive history between the golf and ski industry. With a diploma in horticulture from Algonquin College, Mark worked 20 years in golf course maintenance and construction before returning to his passion of working in the Ski industry. He spent 2 seasons as a Ski Patroller at Mont Ste. Marie before switching his focus to teaching and working as a long-time Ski instructor for both Mont Ste. Marie and Mont Cascades. The west coast called to Mark and he decided to make the move to BC where he could further himself in the Ski industry. After completing his Diploma in Ski Resort Operations and Management at Selkirk College, Mark joined the Sasquatch Mountain Team in the fall of 2015 as our Rental Shop Manager. His role has since grown to the Director of Snow Sports where he oversees both the Rental Shop and Snow School departments. Mark is passionate about giving the best possible guest experience and building up a new generation of Snow Sport enthusiasts. 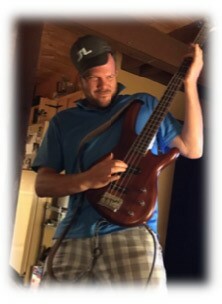 When not at work, Mark can be found golfing, kayaking or bombing around in his beloved Jeep. 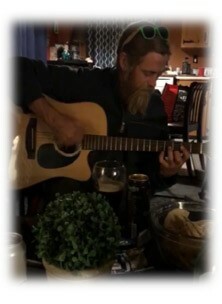 Brad Moore grew up in Ontario and moved to White Rock, BC in 2001. Brad has an extensive background in the hospitality and food and beverage industry from serving, bartending and cooking, to running restaurants and bars. He graduated from the Hotel and Restaurant Management program at Algonquin College in Ottawa, Ontario and worked several years with the Boathouse restaurants in the lower mainland and ran a chain of Booster Juices in the Okanagan. Brad started with Sasquatch Mountain Team 5 years ago as our Bar Manager and now oversees all aspects of the Food and Beverage department including Molly Hogans Bar, our Kitchen & Cafeteria and Snack Shacks, catering for weddings and events and of course “Liquor sampling for quality control” During the off-season, Brad is the main recruiter for the Resort and loves getting to know and building relationships with each staff member that he brings in from all over the world. When not in the bar, you can find Brad out on the water fishing, practicing his golf game and just enjoying Beautiful BC. Starting out on the cross country trails as a kid in Ottawa, Ontario, Jesse quickly came to fall in love with everything snow. As soon as he was old enough, Jesse got certified as an instructor and eventually got his ski instructor Level 2 CSIA, Level 1 CSCF, and Level 1 Freestyle. He worked between Mount Cascade and Ski Fortune in Quebec where he also learned and oversaw the snowmaking operations. The East coast original then moved to BC in 1999 to chase his dreams of becoming a lifelong ski bum. He started out at Selkirk College where he took Ski Resort Operations and Management. Upon graduation, Jesse continued to grow his experience in areas of lift, building & vehicle maintenance and grooming operations. 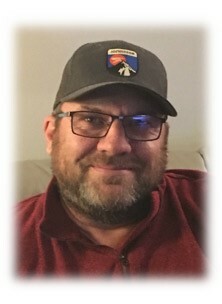 The lifetime snow enthusiast then brought his diverse skill set and passion to Sasquatch Mountain in 2002 where he started out working in Lift Maintenance and Utilities. Hemlock Valley quickly became home for Jesse as he took on new responsibilities each year and eventually met his wife on the mountain and started a little ski bum family of his own. The Crawford family took a couple years away from Hemlock to join the Mike Weigle Heli-skiing operation in Blue River, BC where Jesse worked as the Maintenance and Project manager and Snowcat Program Developer. With the rebrand of Hemlock to Sasquatch Mountain and news of an exciting new development plan, Jesse returned home to Hemlock Valley to be a part of the expansion. 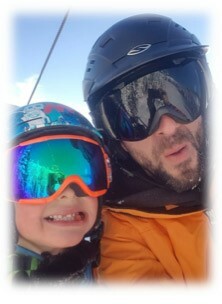 He now works as our Grooming and Maintenance Manager and spends his free time sharing in his passion for skiing with his friends, family and chasing the powder with his 2 sons and wife.